Almost a hundred years later, a Swedish sailboat is found drifting with no-one on board, in the very same waters where the HMS Hampshire was lost. The captain is missing. Bloodstains and signs of a struggle are evident on deck. 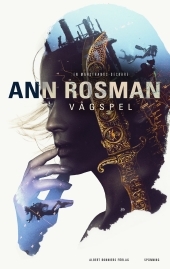 Five crime novels in the Karin Adler series have been published to date, and Ann Rosman's works have been sold to eight countries. IN DEEP WATER is the sixth novel in the series, and is set on the green and windswept Orkney Islands, a place where folklore is very much alive and secrets go deep. A place both of death and of fervent love.